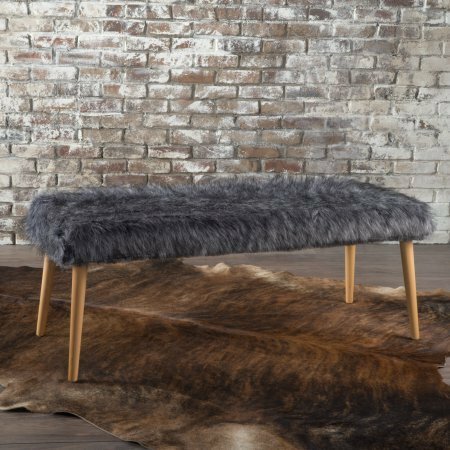 A surefire conversation piece, this shaggy ottoman is a whimsical complement to midcentury dcor. The contrast beween the smooth birch legs and the soft-to-the-touch top strikes the perfect balance between elegance and simplicity. Excellent for putting up your feet after a long day. If you have any questions about this product by Noble House, contact us by completing and submitting the form below. If you are looking for a specif part number, please include it with your message.